Property taxes are quickly becoming unaffordable. Many local governments have avoided hiking property tax rates, instead relying on increased assessments to drive property tax revenue higher and higher. One person told us, "My taxes increased more than my paychecks." Another said, "What I've worked 50 years to build up, they're taking away from me." They are correct. Property taxes are increasing faster than inflation, population growth, and the cost of living. 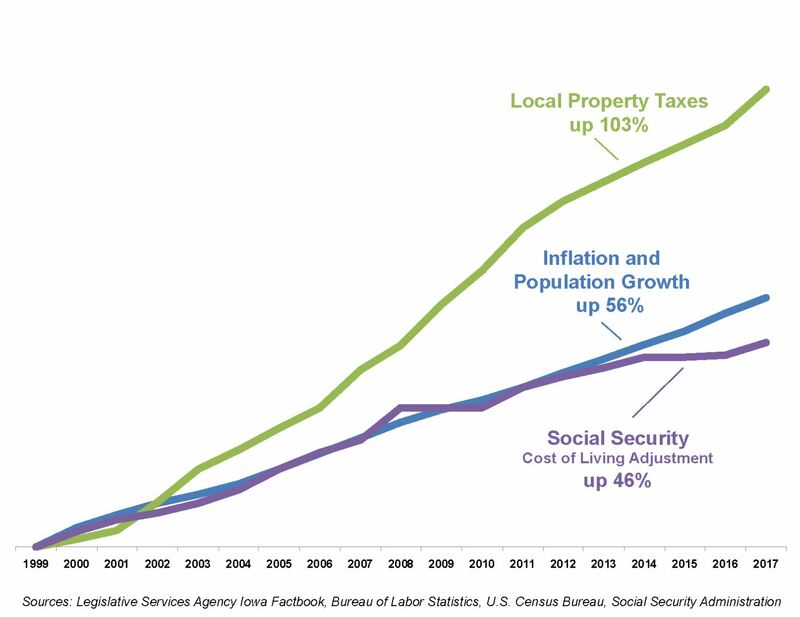 A property tax REVENUE LIMITATION in Iowa's code will help keep local government from growing beyond what property owners and other taxpayers can afford. Use the form on this page to easily email your representative and ask them to support HSB 165, a revenue and budget limitation bill.